AFFORDABLE: Air Itam / Focal Products Sdn. Bhd. 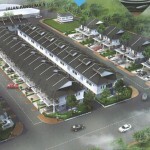 A newly proposed affordable housing project by Focal Products Sdn. Bhd. at Air Itam, Penang. Located at the intersection of Jalan Teochew Satu and Jalan Thean Teik, next to Hui Aun Apartment. It is only 1km away from Sunshine Farlim. This project is still pending for approval. Details to be available upon official launch. Developer :Focal Products Sdn. Bhd. 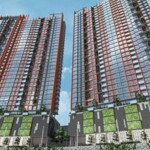 now the developer from PLB homes (Zoo Road Exclusive Condominium) change to other developer?? 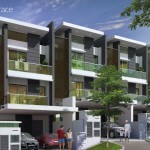 Now no more LC MC housing, all call affordable…..kalao u gaji 2000 saje boleh mampus..
lol 2000 boleh beli rumah 400k kah? installment sudah 2k sebulan, jangan tipu orang lah, masih ada lagi LC 75k, LMC 200k, cuma bagi first time buyer beli. 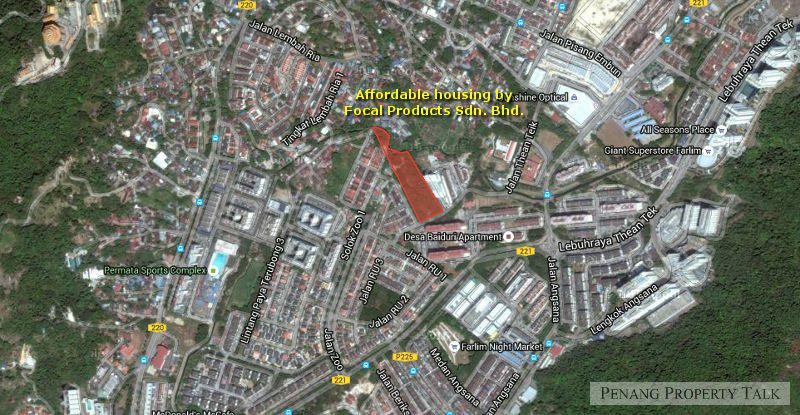 With the rebranding, low-cost houses costing RM42,000 each will now be known as affordable housing type A and medium-cost houses priced at RM72,500, as affordable housing type B. 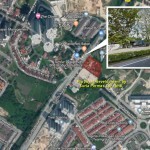 State Housing, Town and Country Planning Committee chairman Jagdeep Singh Deo said houses priced at RM150,000 each would be known as affordable housing type C; a house worth RM200,000 as type D; that costing RM300,000 as type E, and one costing RM400,000 as type F.
If gaji is RM2,000, you should not be even thinking about buying a home yet. Your first priority is to figure out how to increase your income. Go rent a room first. RM300 – RM500. Buying a home is a serious financial commitment. If you can’t understand RM2,000 gaji s not enough to secure a RM400K property … you are not ready. Hi..I really need a house at Ayer itam side..what ever how much sq as long we can stay here can de..cant contact me?if below Rm400k?may I noe When will lounge? I under waiting list Rm400k with state ..what should I do? Hi,I used to facing the same situation with you. But now i finally obtain a house under affordable scheme. Here are some advice for you. 1. Never sit there and wait even you already under waiting list. If you do not take further action, after 20 years, you still will under waiting list. 4. Most important, make sure you are eligible and potential buyer. Hope you can obtain your house asap. If i can, i believe you can too. hi, email the details to me at florz_vlyn@hotmail.com. thanks. price from RM200,000 estimated?? ?how much minimum salary can buy if im 1st time buyer??? Can u give me your phone number. I interesed it.